"Unsolicited requests are a real challenge for many industry influencers and company executives. These people get frequent interview requests from journalists, requests for advice from marketers looking to build influencer roundup articles, and general queries from other professionals looking for help from the experts they admire. 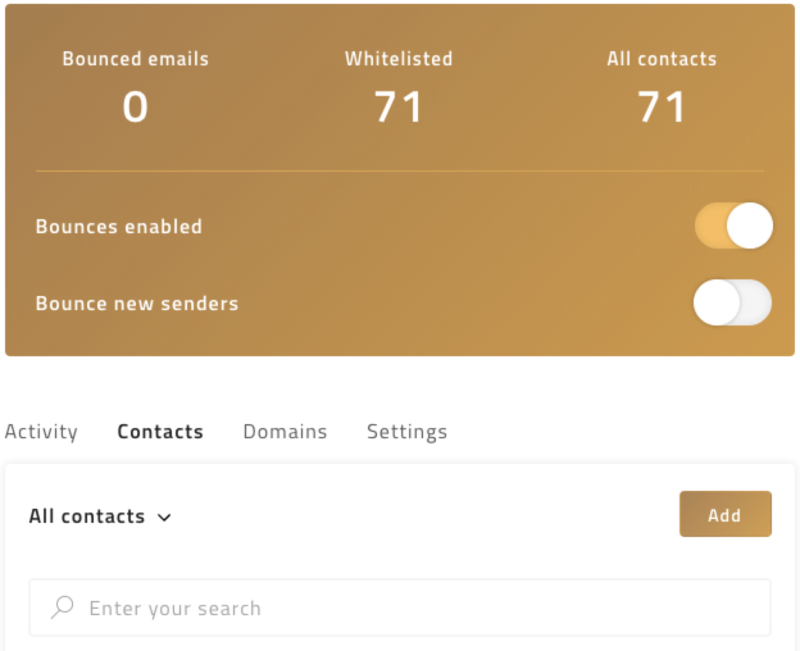 To minimize the number of unsolicited requests you have to respond to, use Earn.com to charge a fee for every email reply. That's right: make them pay. Earn.com lets you earn bitcoin for every email you reply to. Set up an Earn.com profile, and choose the amount you want to earn for replying to emails ($1, $5, $20, or $100). You can choose to keep the money you earn for yourself or donate it to charity. Once you have your account set up and verified, you can start redirecting unsolicited email senders to your page on Earn.com to ask them to pay for a reply. Log in to Earn.com, and select the "Bounces" link. Connect Earn.com to your Gmail account. Customize the response that unsolicited senders receive when the extension bounces emails to your Earn.com profile. See the suggested templates below for ideas on how to politely ask senders to pay for a reply. Choose whether or not you want to automatically bounce unrecognized senders. Note: If you turn this feature on, any sender that's not in your Gmail contacts—or that you haven't manually whitelisted—will receive an auto-bounce email. This could cause problems if, for example, you get an unanticipated email from someone offering you a job or from a customer you haven't corresponded with before. Whitelist specific senders or domains that you don't want to auto-bounce to Earn. If you don't use Gmail—or if you just want complete control over which senders bounce to Earn.com—create a default response template for unsolicited emails using one of the tools/features in the frequently answered questions section above, and reply with it to any sender you want to bounce through Earn.com. Asking people to pay for your time may go against your nature, but if you're an influencer in your field, it helps limit the number of unsolicited requests and questions you have to spend time replying to. Most people won't be willing to pay for a reply, reducing the number of to-dos in your inbox, and helping you identify the people who really need a response. Earn.com pricing: Free to create an Earn.com profile and accept messages on the platform. Unfortunately, my current workload prevents me from responding to every request I receive. However, I do respond to all paid emails sent through Earn.com, and I donate all of the proceeds to [name of charity]. If you're still interested, feel free to resend your message using the following link: [Earn.com profile URL]. Unfortunately, my current workload prevents me from responding to every request I receive. However, I do respond to all paid emails sent through Earn.com. This helps me manage my time better and gives you the assurance of a guaranteed response.